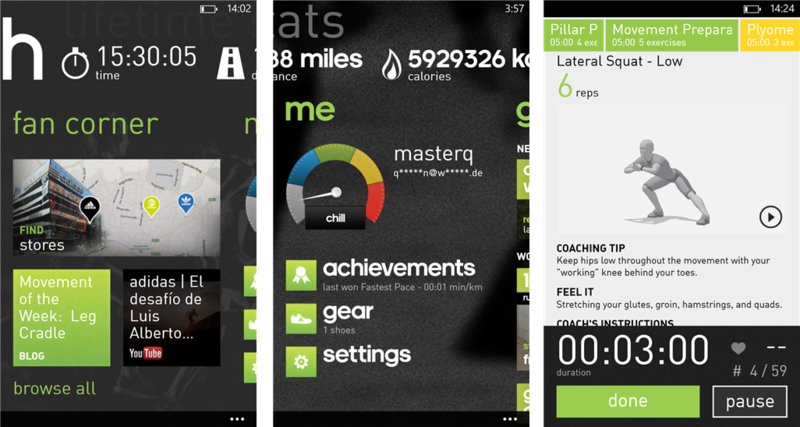 The Adidas miCoach app, made in conjunction with Nokia, now sports a range of new features enabled by an update to the Nokia Lumia Black version of the Windows Phone operating system, which began rolling out on Friday. Among the new features are support for pairing Bluetooth Low Energy (BLE) heart rate monitors with any handset running the Lumia Black software, stride sensor integration for closer tracking of progress via a sensor that goes in your shoe or on your shoelace, and a new lap splits option for comparing information about your runs. Rounding off the list of notable updates, the company has also integrated Nokia MixRadio (nee Nokia Music) into Fan Corner shown on the homescreen, in order to make it easier for users to find the perfect workout tracks. Now all you need is the motivation to put on your training gear and go check out the new features for yourself, remember though, you’ll need to install the Nokia Lumia Black software update first.